So I stopped in here while visiting from Arizona solely because of GD’s Instagram feed and their appearance on the “Great Food Truck Race”. I will admit the vibrant colors of their food photos was what reeled me in. 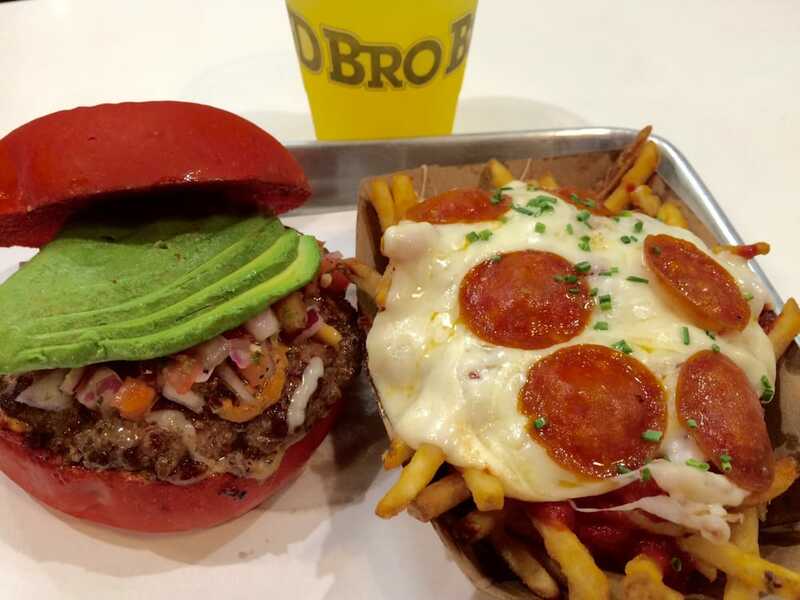 GD Bro Burger got its start in 2013 as a food truck from a couple of buddies with a passion for food. They are known for their gooey cheese stuffed burgers with raspberry brioche buns that are topped with items like mozzarella sticks, kalbi poutine and kettle-cooked chips. It wasn’t too packed for my first visit here. I didn’t get the greatest service from the cash register guy (he walked away for almost 2-3 minutes and just left me hanging), but one of the food handlers at the bar made up for it with his warm and friendly attitude. I ordered the Juan & Only burger and pizza fries and the food came out in a reasonable time. I love lots of toppings on my burger, so the Juan & Only was the perfect choice for me. 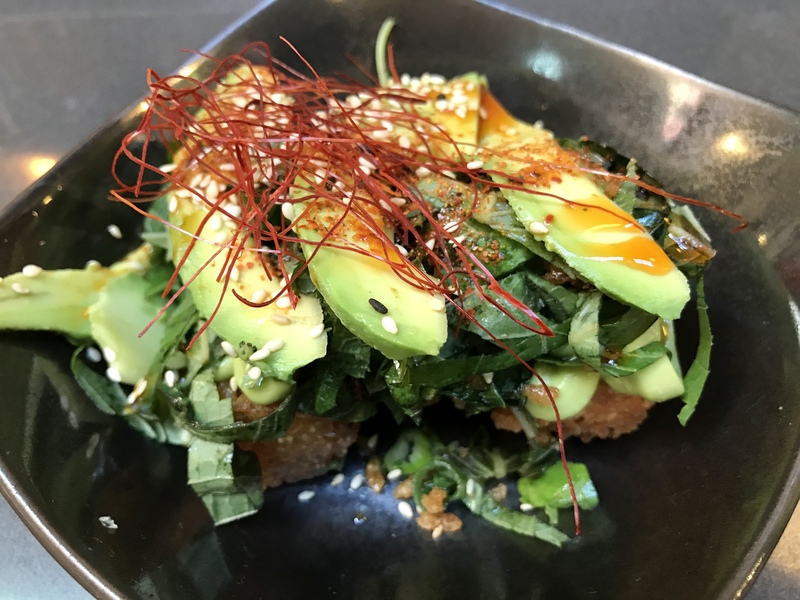 It had a nice blend of spiciness to it and I really enjoyed the abundance of avocado slices they top it off with. The pizza fries were good, but not anything to write home about. If anything, they made my photos look more appealing as a side item. I was bummed that the shake machine was down as I was hoping to try one their cool looking creations that I always see on their IG feed. I ended up getting one of their pineapple orange refreshers instead. 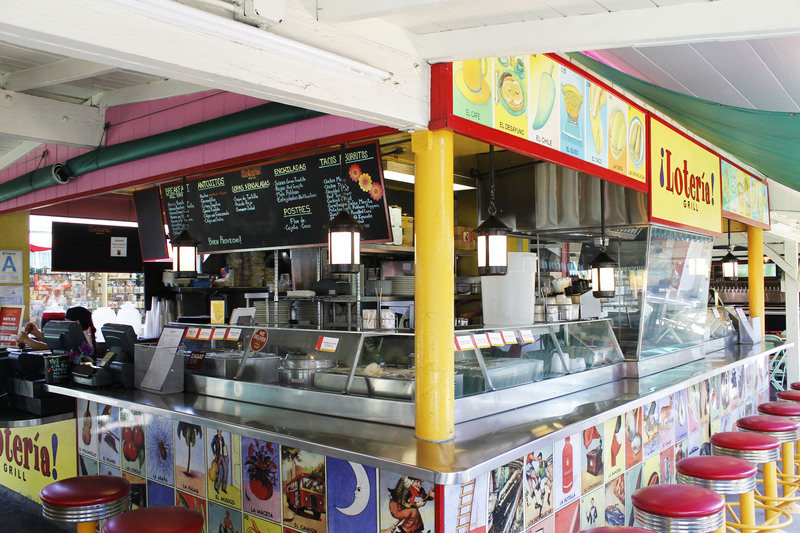 The menu prices are comparable to any other food truck prices. 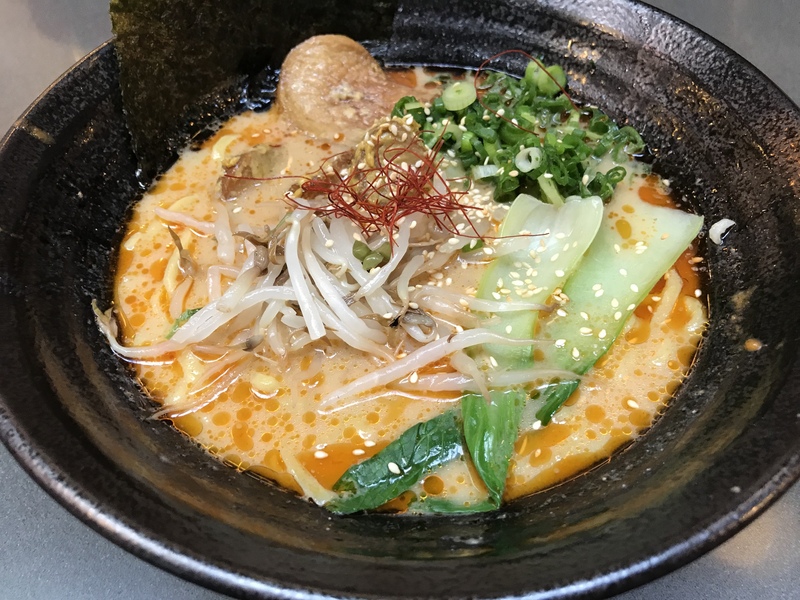 Overall, I would say I had a pretty good experience here as I really enjoyed the creativity they put into their food and the overall cleanliness of the restaurant. Hopefully I will get an opportunity to stop in again in the future and try some of the items I missed out on. 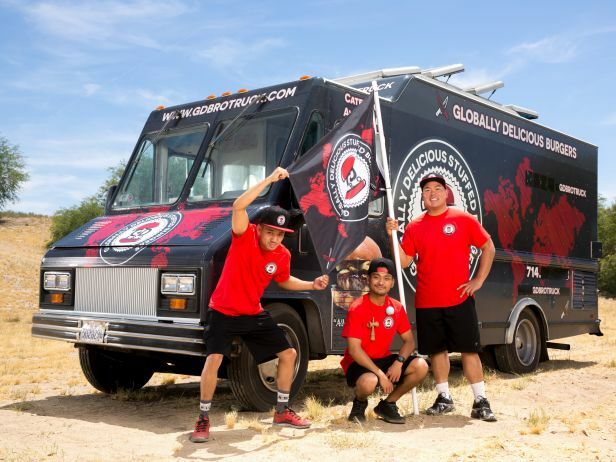 GD Bro Truck started up in 2013. Two years later they made an appearance on season six of The Great Food Truck Race. That same year they opened a restaurant in Santa Ana one in Long Beach the following year. 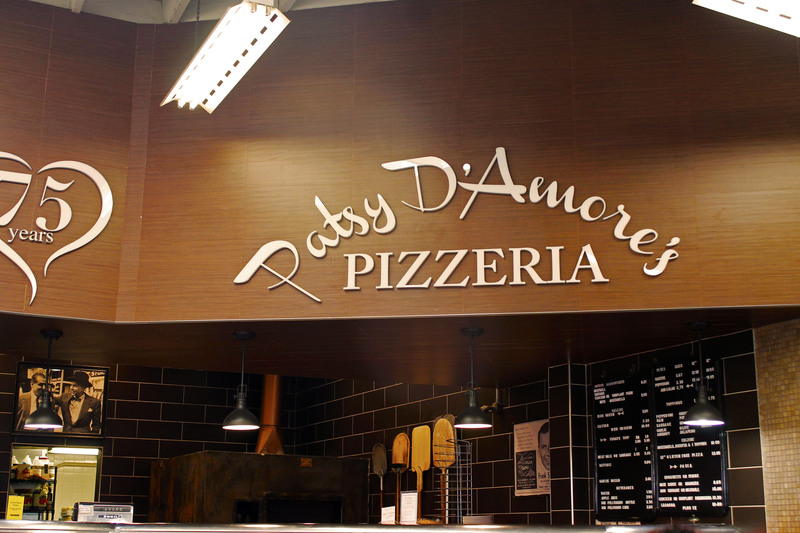 Patsy D’Amore was the first to bring pizza to L.A. at the Casa D’Amore restaurant in 1938 after making pizzas in New York and Boston. Patsy moved his oven from the outpost he had on Catalina Island to Los Angeles and opened up the first pizza stand at the Original Farmers Market in 1949. His famous Villa Capri restaurant was a regular hangout of the Rat Pack in the 50’s. His daughter now keeps the family legacy going with this location at the Farmers Market. 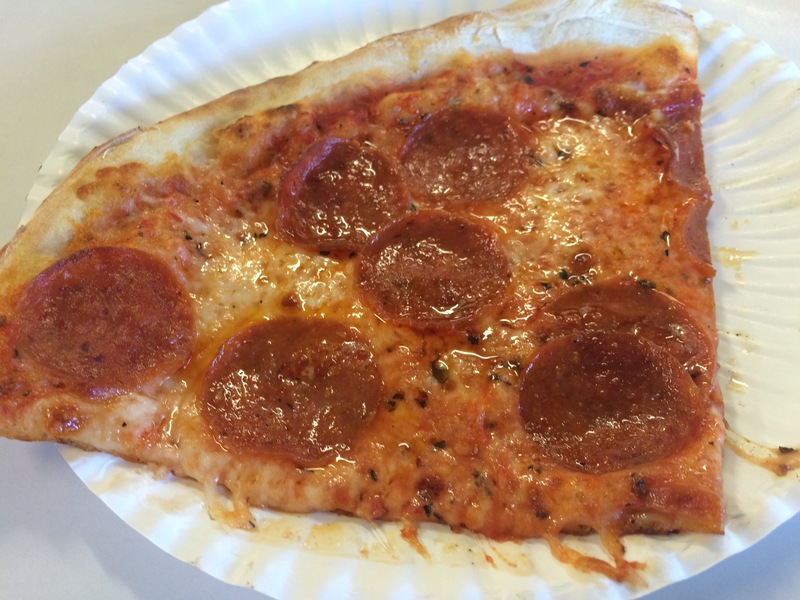 They make New York style pizzas and the lasagna and calzones are made up fresh daily. Amore means “heart” in Spanish and these guys love to say they make their pizza from the heart. 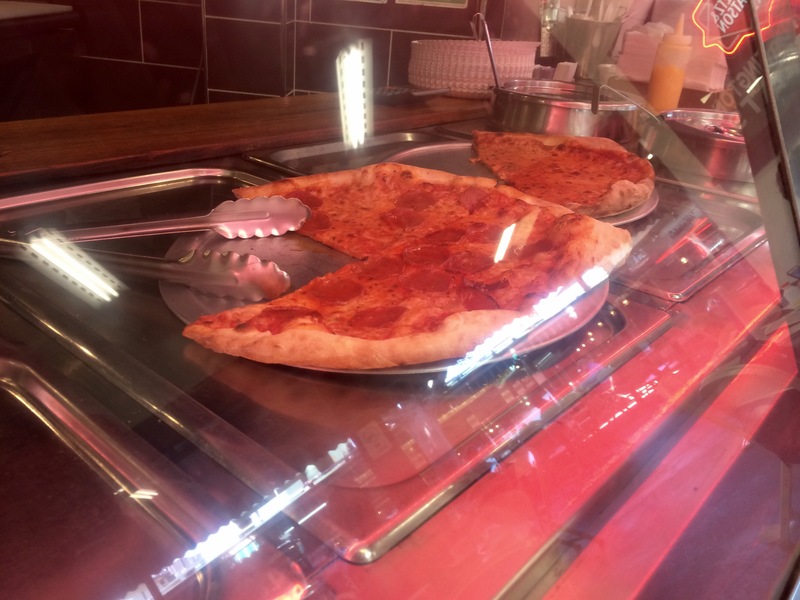 In typical New York fashion, I grabbed a slice to go after a full day of sampling at the Market. The pizza wasn’t bad. Not much different from what you grab to go on some corner in Manhattan. I think what the draw for me was their long history with Hollywood. I’ll give their full menu a shot another day. ¡Lotería! 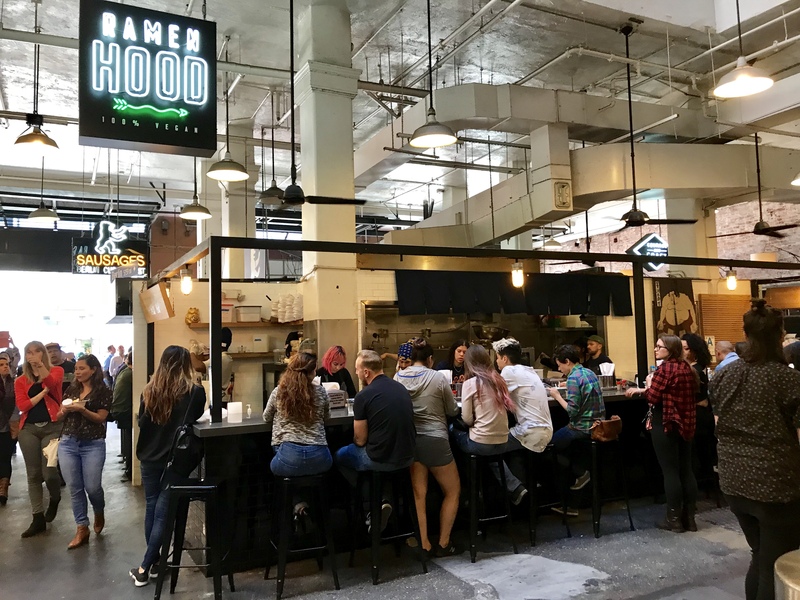 Grill first opened in the LA Farmers Market by Jimmy Shaw in 2002. 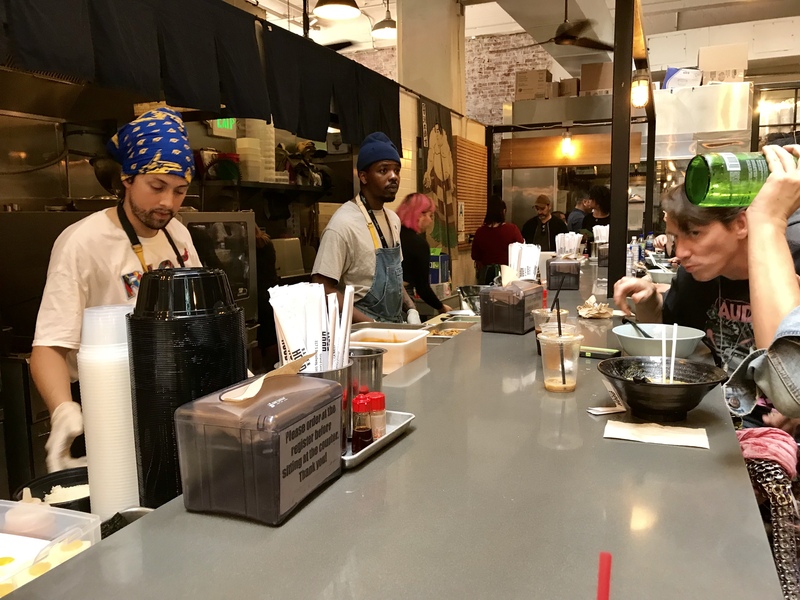 Now there are five locations across LA. Jimmy wanted to put true Mexican food on a plate after seeing so many Americanized versions of it all over Cali. Lotería is a type of bingo game in Mexico that uses game cards with images that represent Mexico. Many of these images are posted all over their restaurant. 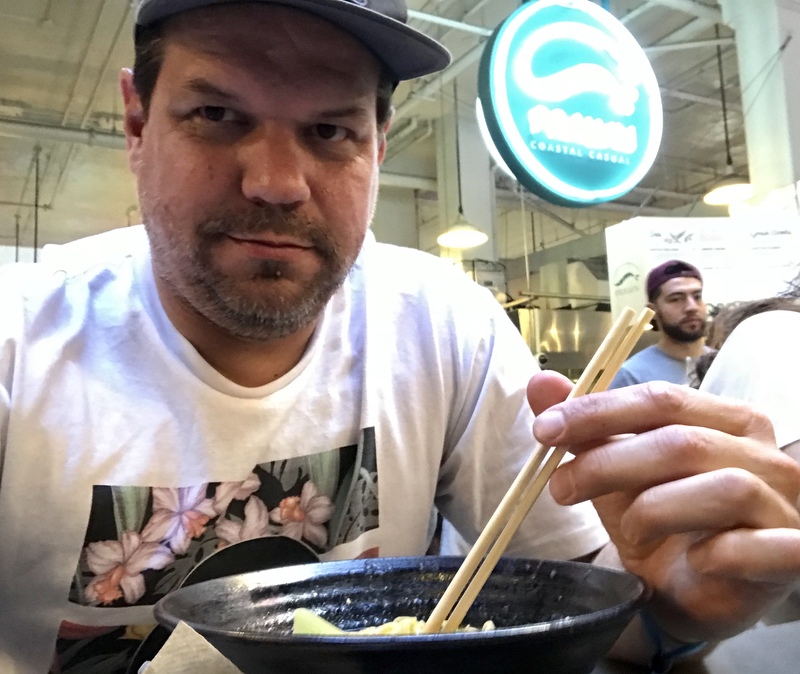 I read a guide of best foods to try at the Market and their popular nachos made the list. Some of their other favorites include the Chicharrón de Queso (pork dish), the tacos and their signature Guisos (slow-cooked stews). They also have a full breakfast menu for the early risers. Even though I was just sampling today, this mini nacho plate packed a punch. It consisted of corn tortilla chips, black beans, Pico de Gallo, jack cheese, tomatillo Salsa, onion and cilantro. 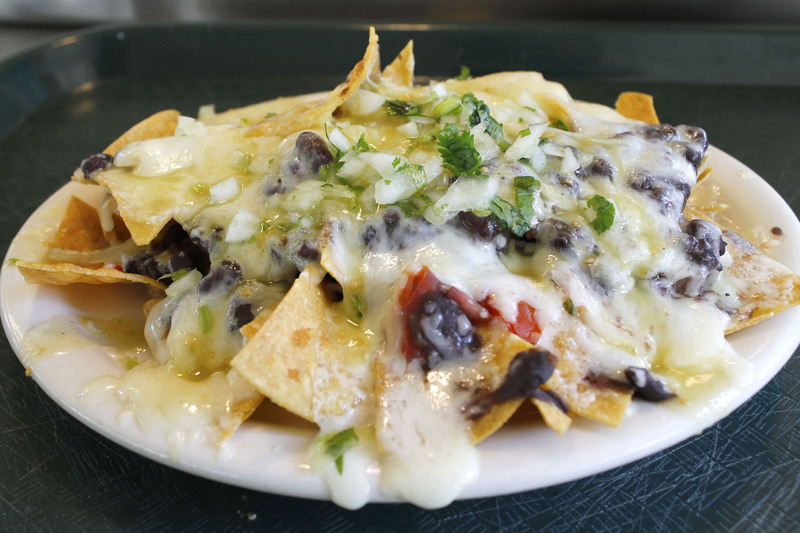 I love nachos that just ooze with cheese and this one didn’t disappoint. 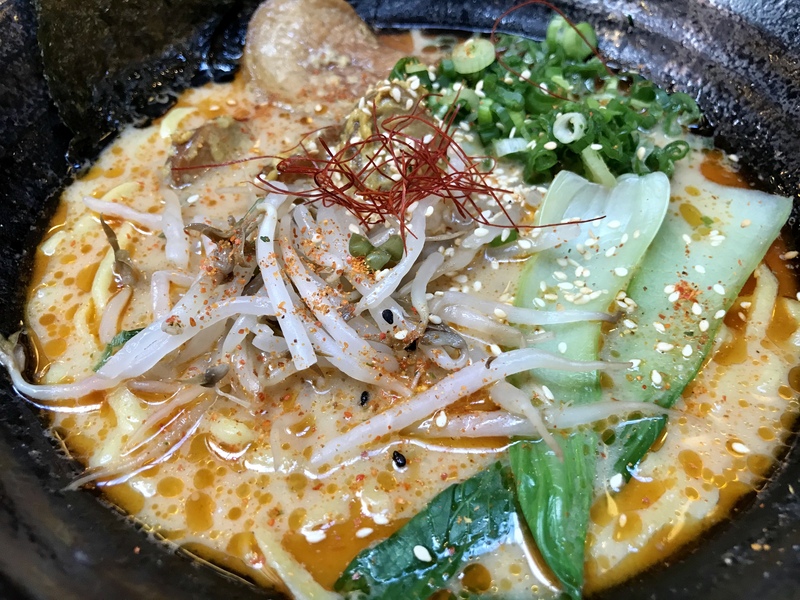 The staff was great and it was fun to sit behind the counter and watch them passionately cook up some great food. I hope to grab a full meal next time around. 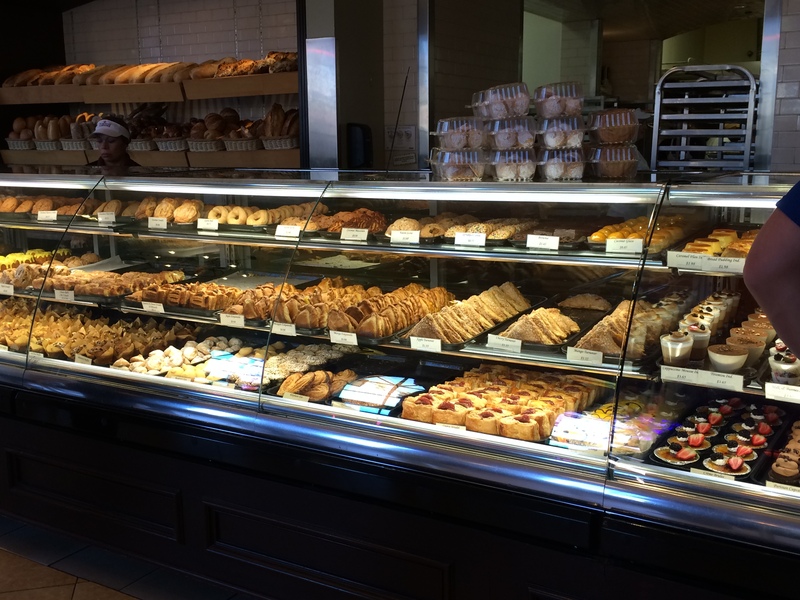 Every time I’m in Cali I swing by Porto’s Bakery & Cafe and pick up some delicious pastries to go. 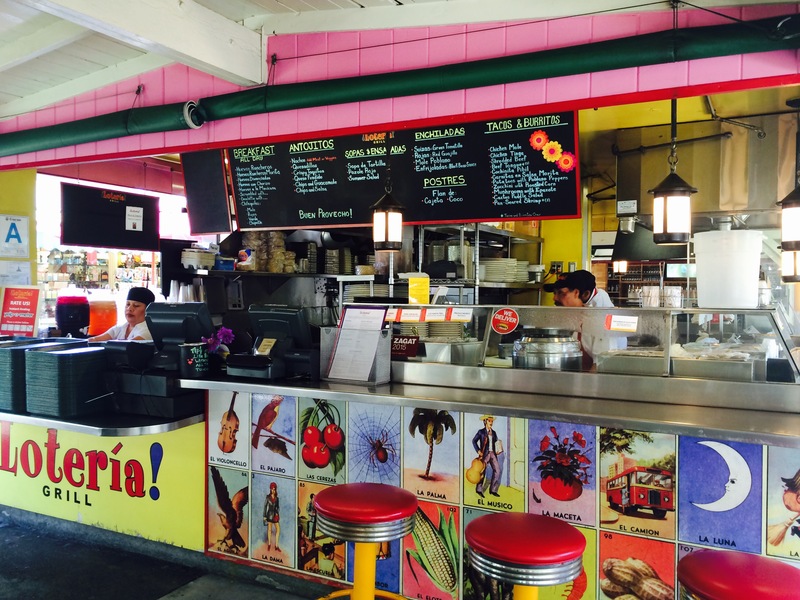 Rosa Porto opened her first bakery on Sunset Blvd in 1976 after her family emigrated here from Manzanillo, Cuba. They went through some tough times before people started catching on to how amazing her pastries are. She started to add other international savories to her menu and the business took off. Today there are three locations and long lines out the door everyday. It doesn’t stop people from picking up box of cheese rolls, potato balls or a cake. 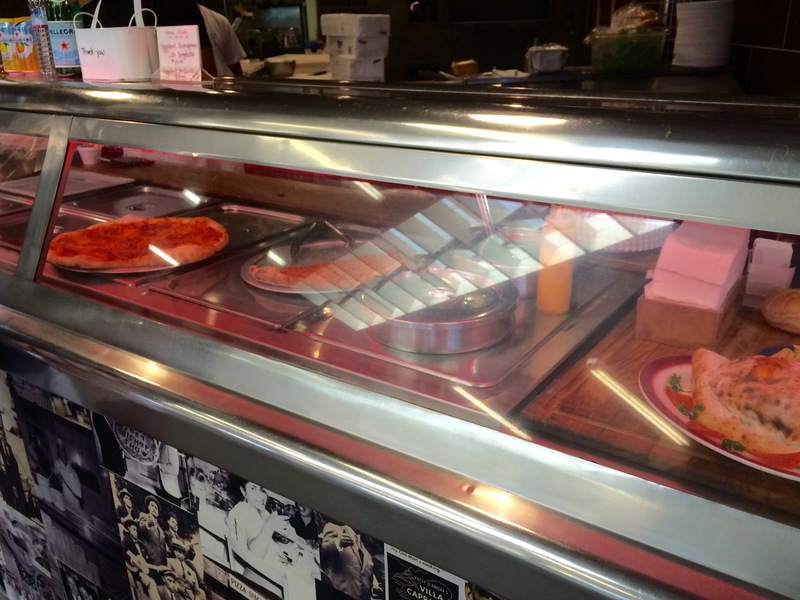 In addition to the pastries, they have some amazing sandwiches, juices and a full cafe. 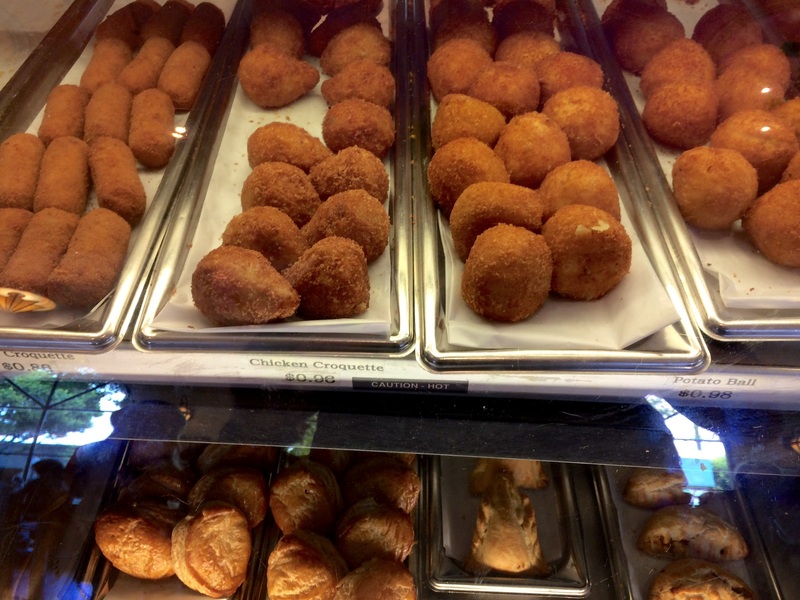 Some of my personal favorites I pick up are empanadas, ham croquettes, meat pies, and of course the potato balls (try the spicy one). You also can’t go wrong with any of the danishes or croissants either. 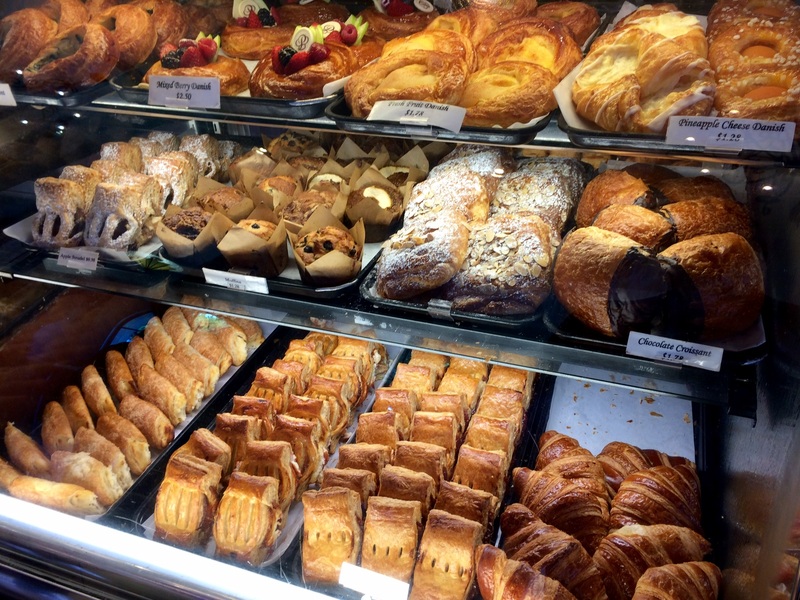 Even though the parking can be a little crazy, Porto’s is always worth a stop. 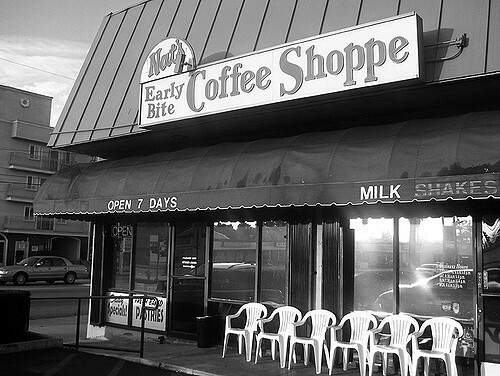 Nat’s Early Bite Coffee Shop and Diner is a long time favorite of mine. It’s my regular stop when I’m in the Van Nuys area. They do breakfast and lunch (but known for their breakfast) and are a local favorite. 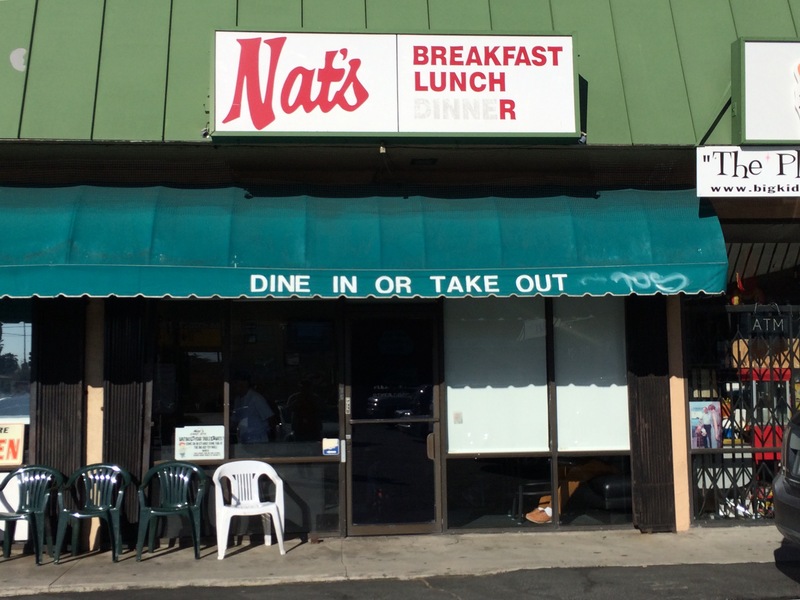 This place has a long history (three decades in the Sherman Oaks area) and has a cool story about the original owner selling the place to one of his busboys. They actually have several Eggs Benedict variations. 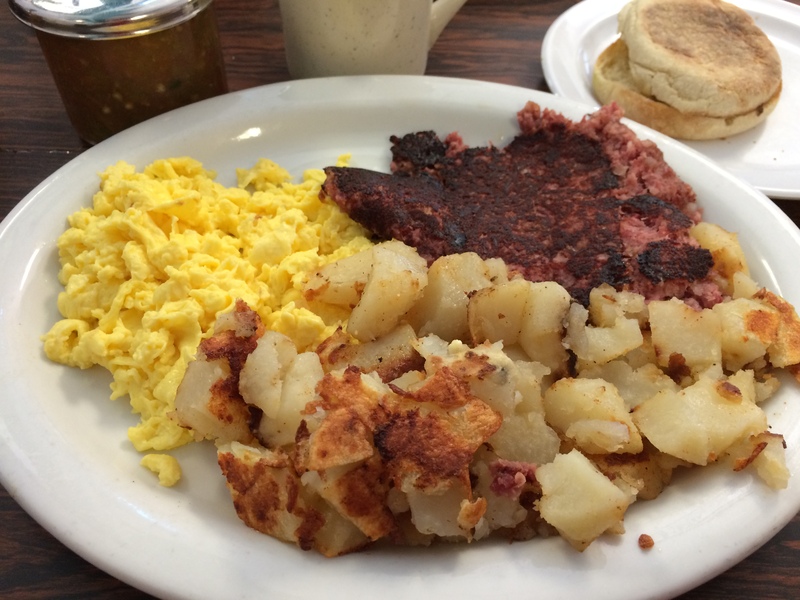 Some of the favorites are the Corned Beef Hash Benedict, the California Benedict and Canadian Bacon Benedict. On their menu you will also find a killer chilaquiles dish and a Jewish matzoh brie. Breakfast is served all day and comes complete with either a cinnamon roll or a muffin. The line for a table is pretty long on the weekends. 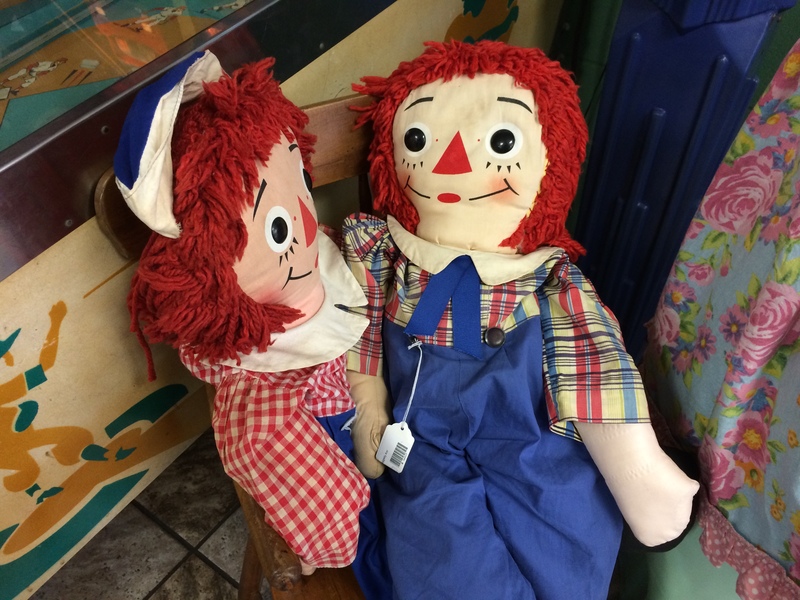 But Nat’s is one of those places you don’t mind the long wait because next door is a classic antique toy store that has some really cool stuff that will take you back to your childhood. Most of the people waiting in line hang out in there. Portions are huge and don’t let how the place looks outside turn you off. Next Door to Nat’s is Big Kid Collectable Toy Mall & Retro Store. It’s located within the same strip mall and sells an eclectic variety of vintage collectibles, toys & ephemera in a retro space. 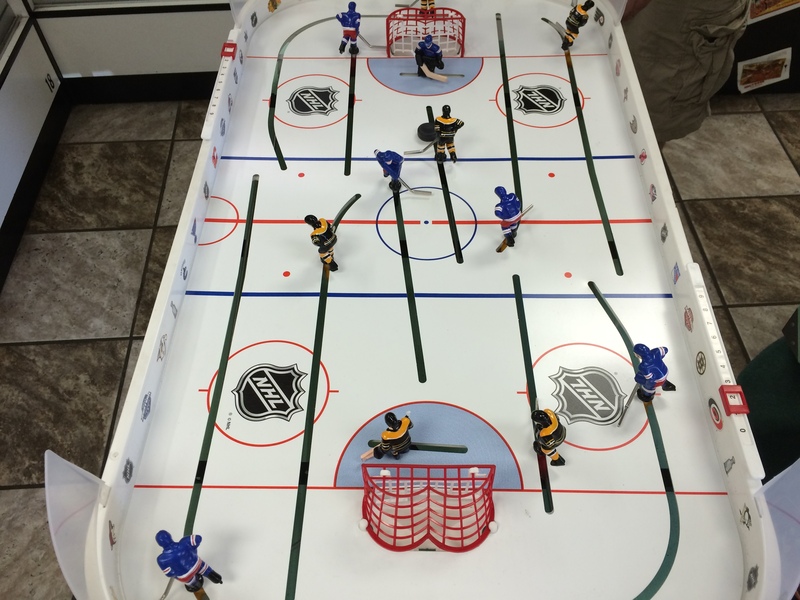 It’s a great place to hang out while waiting for your table and to relive your childhood. 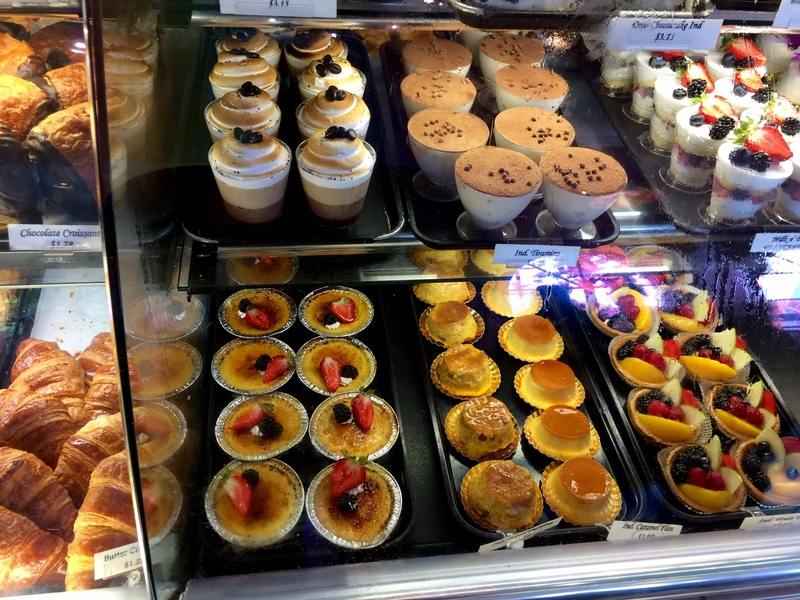 While hanging out in Burbank, I stumbled upon this little gem while running around town – Porto’s Bakery & Cafe. The first thing I noticed was the line and the constant flow of traffic in and out the sliding doors. I decided to go in and take a look and found myself gazing and at all these pasties. 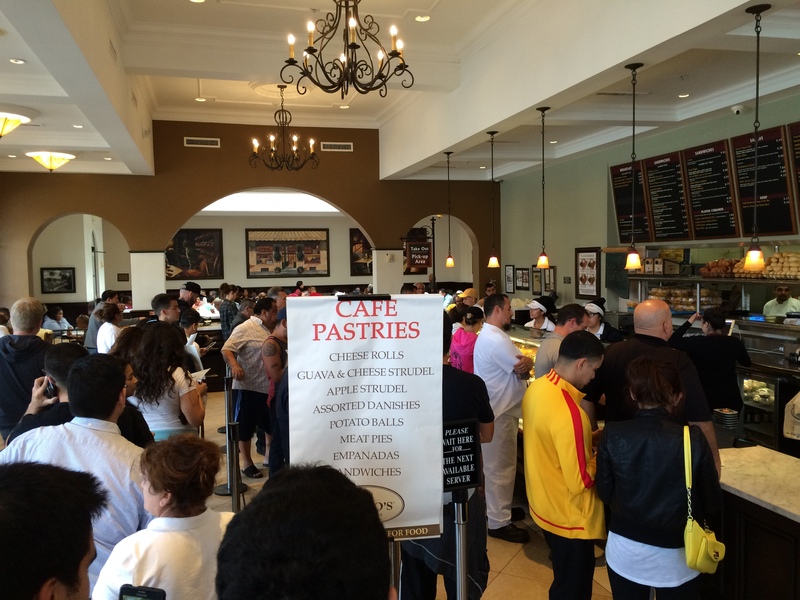 Most of the people in line were here to make a box of pastries to go. I decided to make a box myself and take some back to my son in our hotel room. 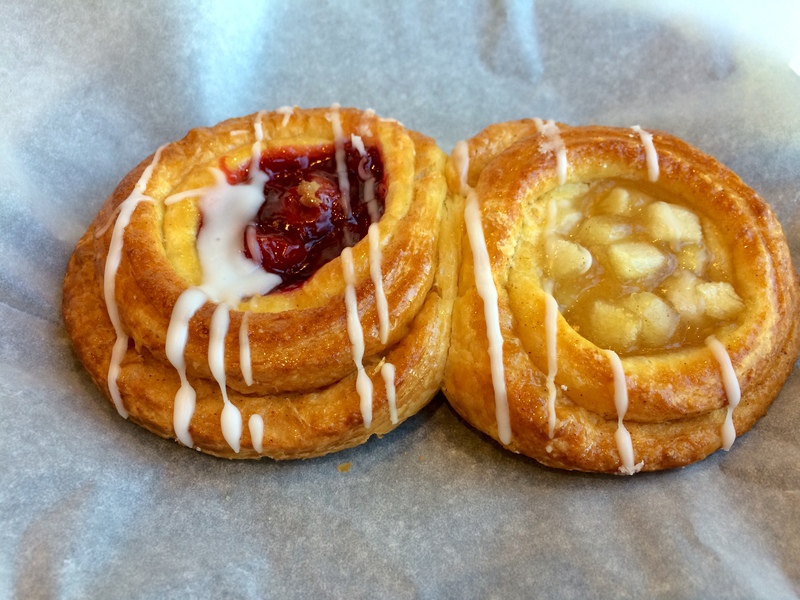 I got a apple and cherry danish. 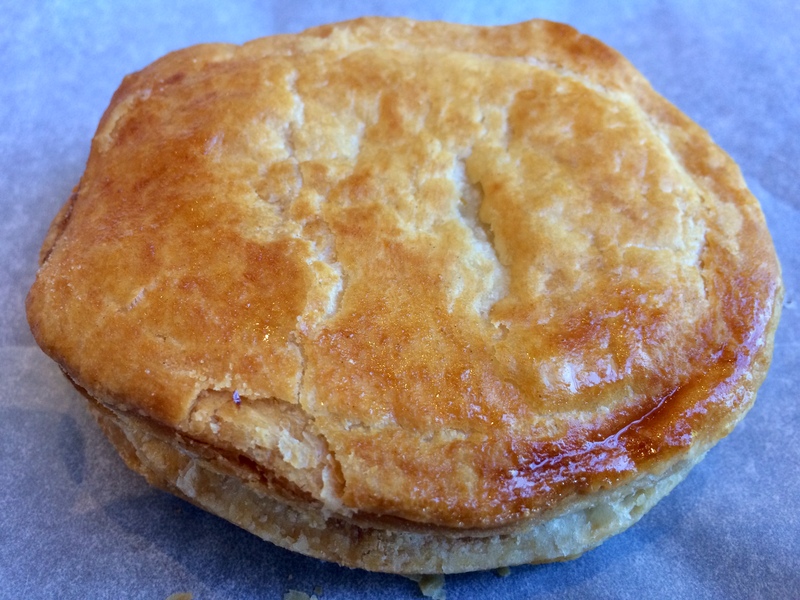 I had to try the meat pie and ate that one right away – yum. 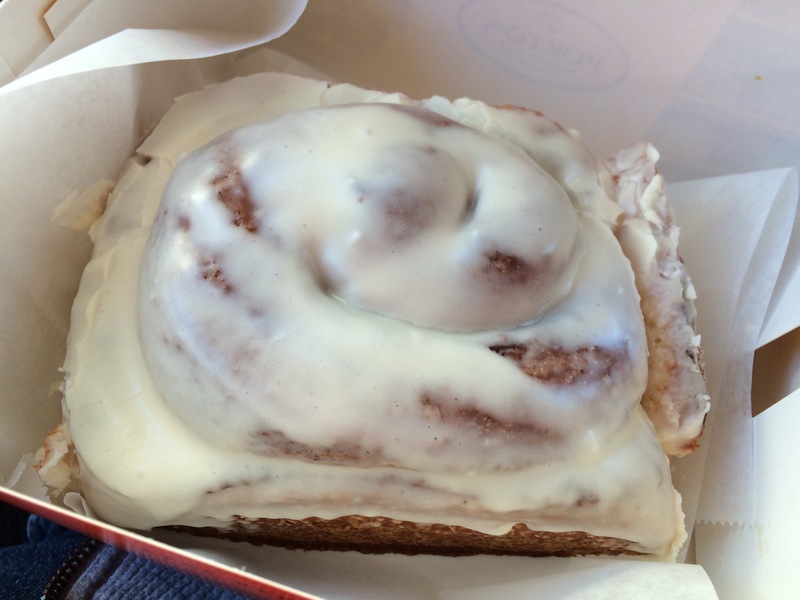 The cinnamon roll took us a couple of days to eat because it was so big. What a great find and I can’t wait to make a return visit someday. – You can read my full review of my return visit here.